A predominant feature of this module is Cridge Street which crosses over the four tracks at the far side of the module. In addition to Cridge, Commerce Street runs along the front face of the module. 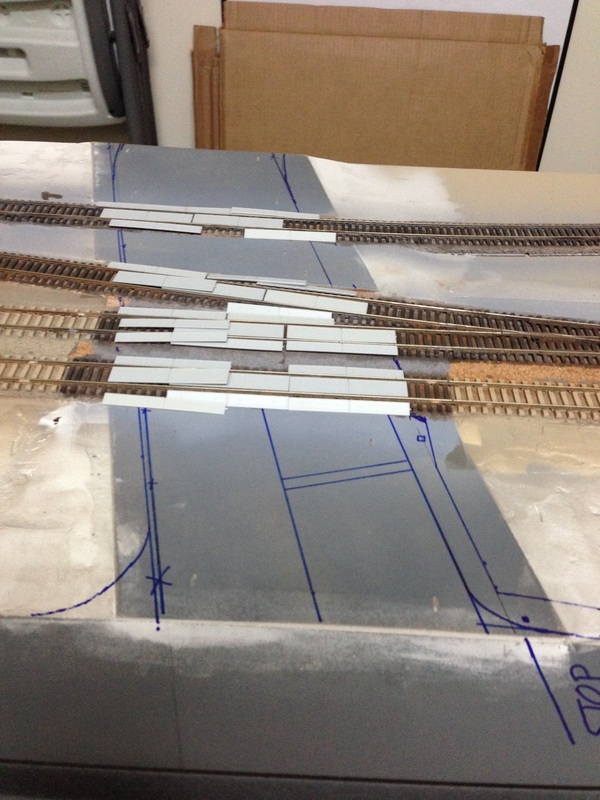 The first step was laying out how Cridge Street crosses the tracks. 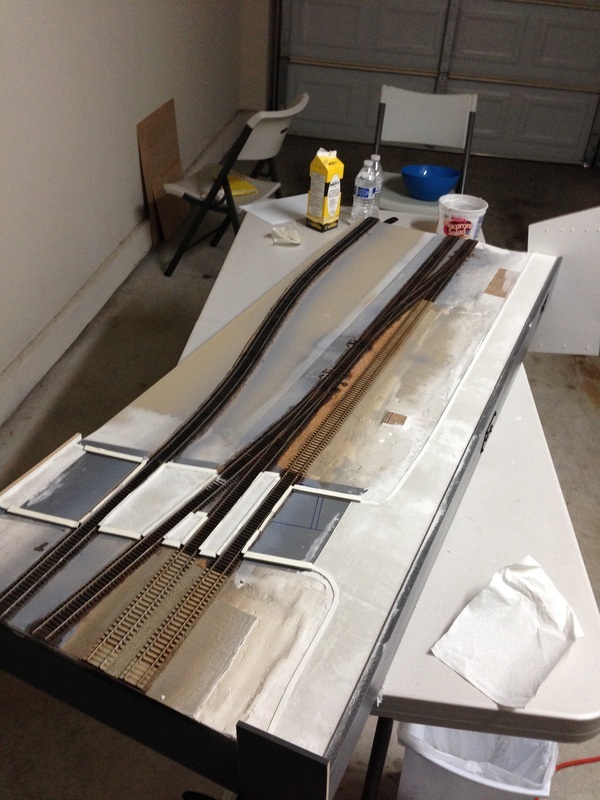 After the outline was in place, I used Woodland Scenics road tape and Smooth-It to begin laying the road. BLMA concrete grade crossing plates used to get a feel for where the road should go. A google satellite image was also used for reference in addition to pictures taken on site.